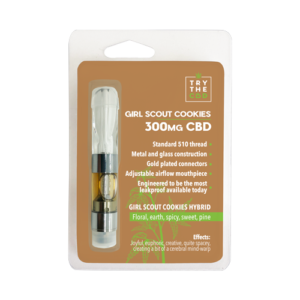 TryTheCBD is proud to offer their new, high potency, Vape Cartridge in several tasty strains! Their cartridges fit any 510 battery. Beautiful, functional, leakproof and provide a quick and convenient method of getting your CBD dosage. The vapor quickly assimilates into your body for fast relief! 300mg CBD per cartridge.